Yesterday we lost the greatest coach ever. 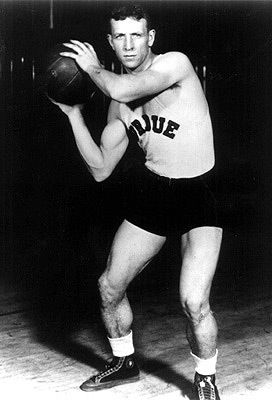 John Wooden (coach) led UCLA to record wins unmatched in the world of basketball. He coached the basketball team at UCLA for 27 years with an overall won/lost record of 620 – 147. His teams won ten NCAA championships, and went undefeated through four different complete seasons — 1963-64, 1966-67, 1971-72, and 1972-73. Coach was a teacher with some important lessons. This 17 minute TED video highlights his teachings. In the video, coach provides his definition of success, cites poetry and shares lessons learned while raised on a farm. The lessons are simple yet profound. Never try to be better than someone else. Always learn from others. Do not focus energy on things outside your control. Be on time. Never be late. Always be neat and clean. Never criticize a teammate. Not one word of profanity. Ever. You may have seen coach’s pyramid of success before. 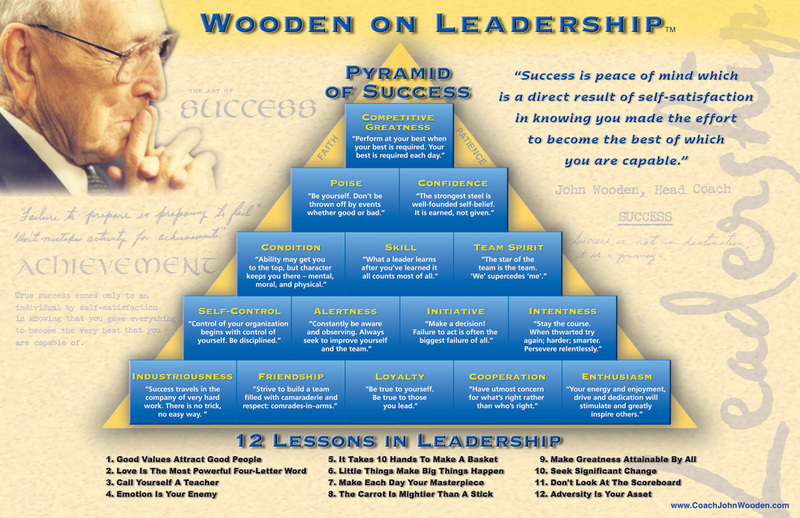 This image (via http://www.coachjohnwooden.com) provides an alternative to the Merriam-Webster definition of success and 12 lessons on leadership. Very nice post, tribute; good lessons for all things. Darryl – I also really like the quote you cited; it’s a keeper. I have always been a huge Wooden fan. Watching UCLA in those days was captivating. I had forgotten that quote. Probably one of his best.